On the Via Francigena, the ancient road running from Canterbury to Rome, between Pisa and Siena, lies the town of Colle di Val d’Elsa. Internationally renowned for its production of crystal glassware and art, the town is also officially listed in the Italian Organic Food Town register as well as that of the Città del Vino, Wine Town. The Wine Town mark is promoted by a National Association which gathers together those towns after which a wine has been named, that produce in their area a denomination of origin wine or that are simply related to wine by history, tradition and culture. The aim is to encourage the promotion and enhancement of the resources of the wine territories: environment, landscape, art, history and tourism. Not by chance Tuscan wine speaks a noble and ancient language. 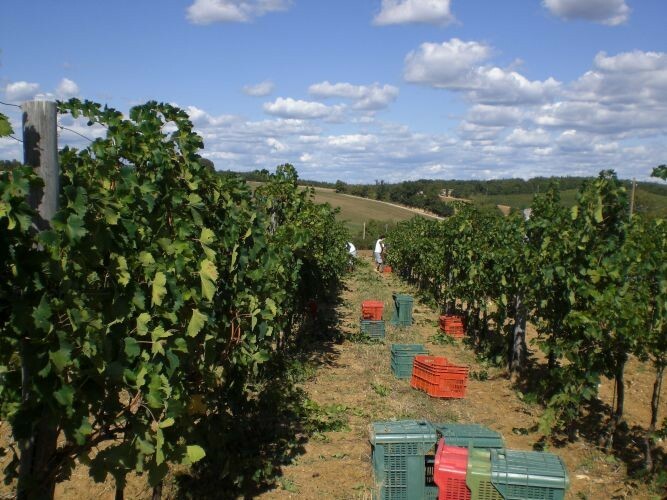 For centuries plain farmers and noble families have dedicated themselves to the cultivation of a culture that goes back to when the Etruscans before the 8th century BC were producing wine. In this culture Colle di Val d’Elsa has its place in a territory of extraordinary beauty, rich in gently rolling hills and with shades going from yellow ochre to emerald green. 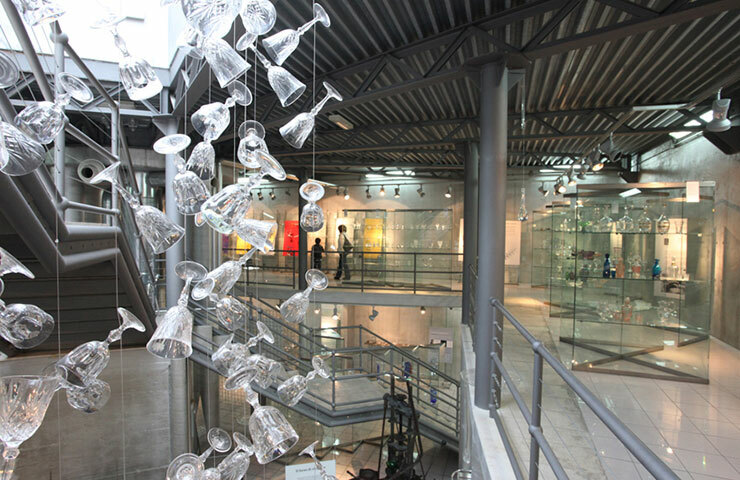 Colle di Val d’Elsa also adds an extra value, its production of crystal glassware and in particular of wine glasses and wine tasting glasses. The production of glassware began in 1331, whereas crystal arrived only in the 19th century. Today, Colle di Val d’Elsa’s production covers 95% of the production of crystal glassware in Italy and 15% of world production. A tour to the town’s Crystal Museum is highly recommended. 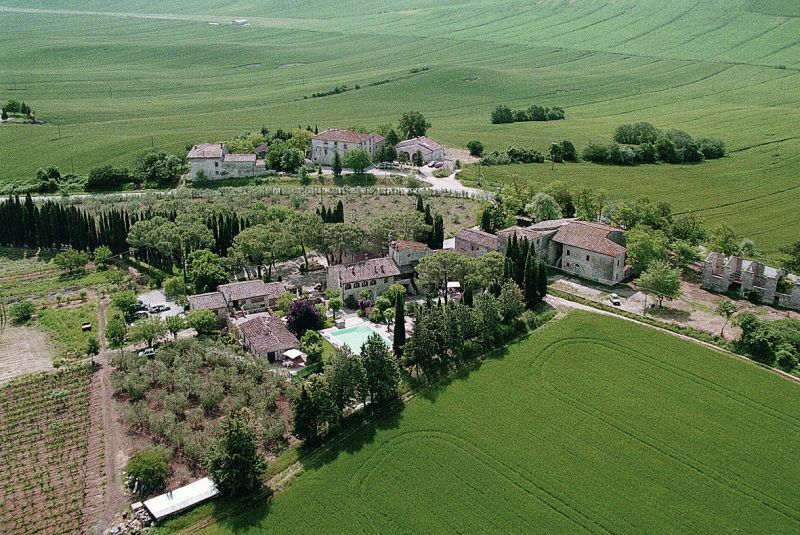 At just 5 km from Colle di Val d’Elsa is a wine estate with a medieval hamlet transformed into holiday apartments. Here one can enjoy the peace and quiet of the Sienese countryside, explore the nearby art centres of Monteriggioni, San Gimignano, Siena and Volterra, to name a few, as well as follow wine tastings on the estate. Another great opportunity is arriving soon: the grape harvest. This wine estate, in fact, offers the possibility of following the vintage and learning how to make an excellent Chianti Colli Senesi wine. Certainly an occasion not to miss! Questa voce è stata pubblicata in Accommodations in Tuscany, Tuscan food and wine, Tuscan lifestyle e contrassegnata con Chianti Colli Senesi, Città del Vino, Colle di Val d’Elsa, crystal glassware, Monteriggioni, San Gimignano, Siena, Volterra. Contrassegna il permalink.